Great Mother of the Egg! 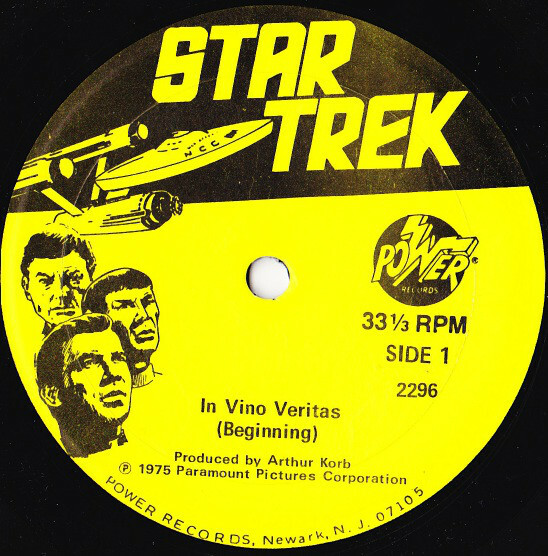 “Great Mother of the Egg!”, the excited exclamation yelped by Acting Lieutenant Young in last Friday’s strip, was an expletive uttered by Romulan Ambassador Bendes in the Peter Pan Star Trek record, “In Vino Veritas”. I’m guessing it’s a reference to the fact that Romulans like birds. It was written by Alan Dean Foster who later wrote the final storyline for “The Motion Picture”.